ISLAND COVE HOTEL and LEISURE PARK celebrated its 20th year anniversary last February 20th with a host of 20 on 20 promos across all their facilities and attractions – from the hotel to Oceania and the Bayside KTV. 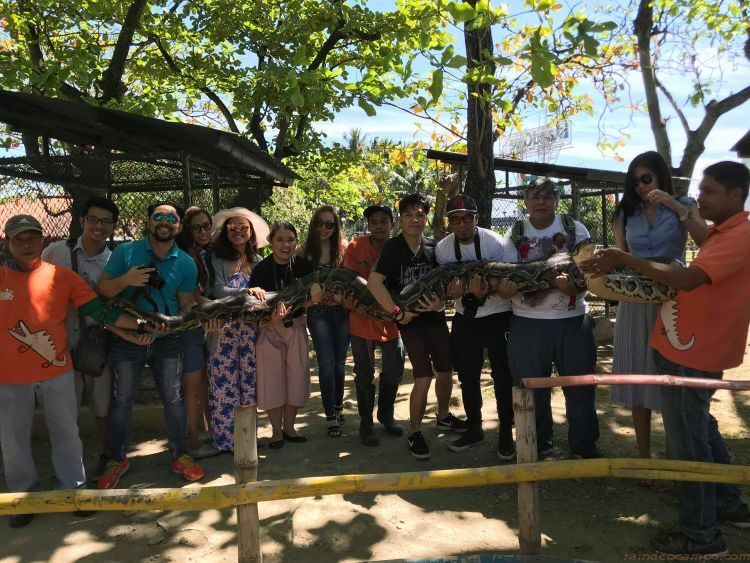 Together with other bloggers, I visited once again this one-of-a-kind resort island in Kawit, Cavite a day before their anniversary celebration to see and experience what’s new and coming to Island Cove this 2018. It was a full day of fun, excitement and delicious meals courtesy of our gracious hosts Journalist-Politician and the Cove’s Managing Director Gilbert C. Remulla and Operations Manager Ms. Malu Samaco. 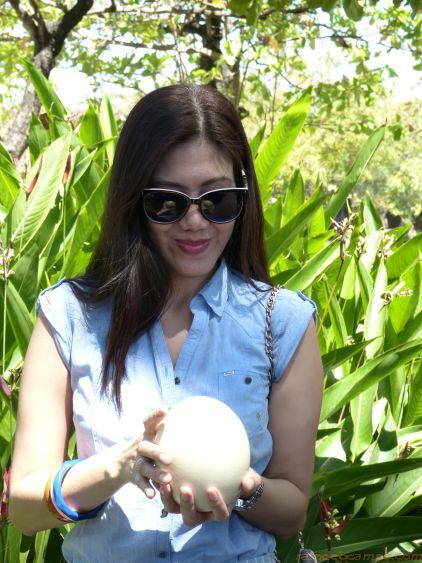 Known as the province of Cavite’s most family-friendly resort destination, Island Cove opened its doors to the public even before February 20, 1998 but the Remullas have decided to assign it as the official founding date to coincide with the birthday of Ms. Ditas Catibayan Remulla – Gilbert’s mom. 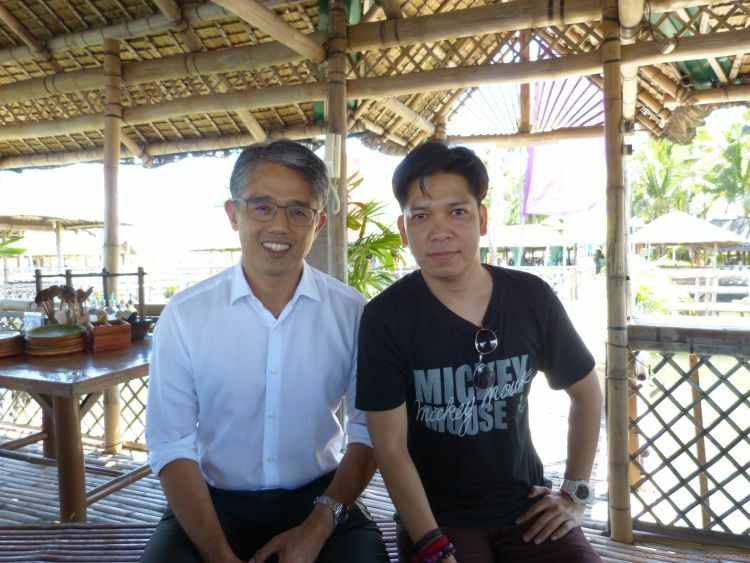 The 47 year old managing director is the seventh and the youngest son of Ditas to former Governor Juanito R. Remulla. Like I said, this is not the first time that I’ve been to Island Cove, but there seems to be always something new in the offering every time that I go to this place. My first visit was two years ago. 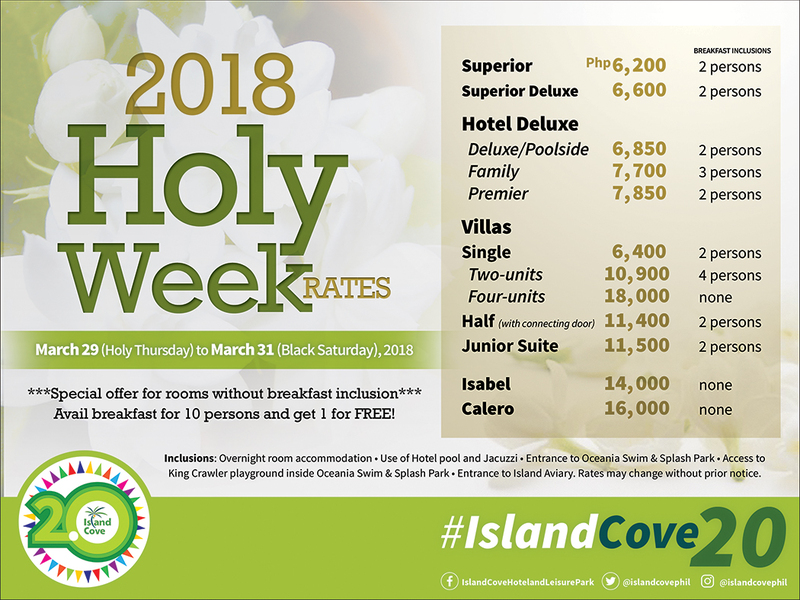 For 2018, Island Cove Hotel and Leisure Park have added a few more attractions and updated some old favorites and lined up some promos to make your visit even more memorable. 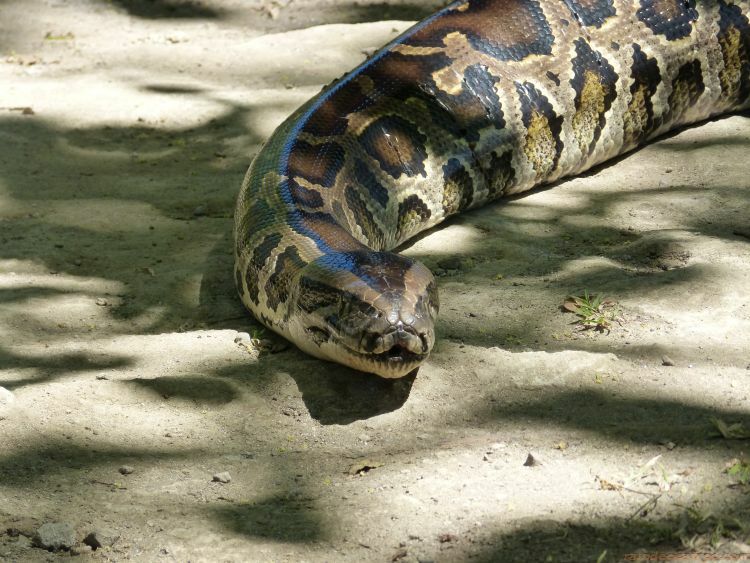 BUT if you want the full details and complete list of new features and attractions, READ ON. First up, the Adventure Zone and Wildlife Sanctuary area is now temporarily closed because they’re planning something really special for this area very soon. 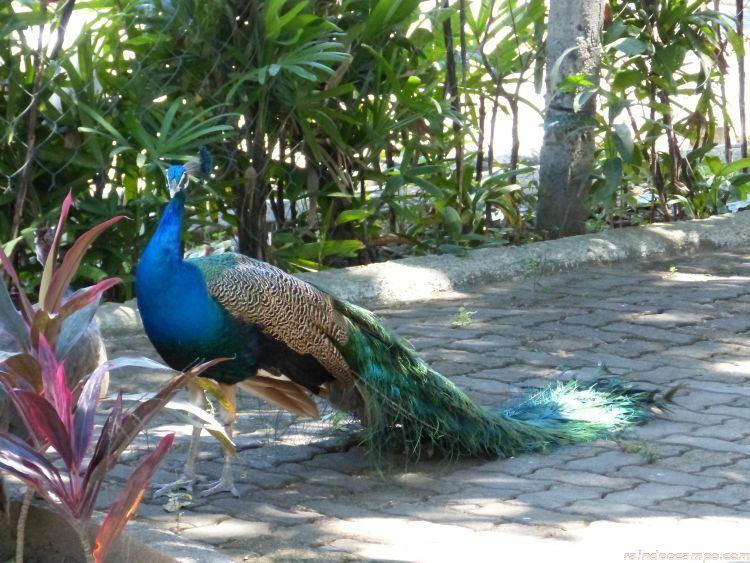 But don’t fret because they moved the wildlife sanctuary to a smaller venue (about 3,500 SQM) closer to the Hotel. 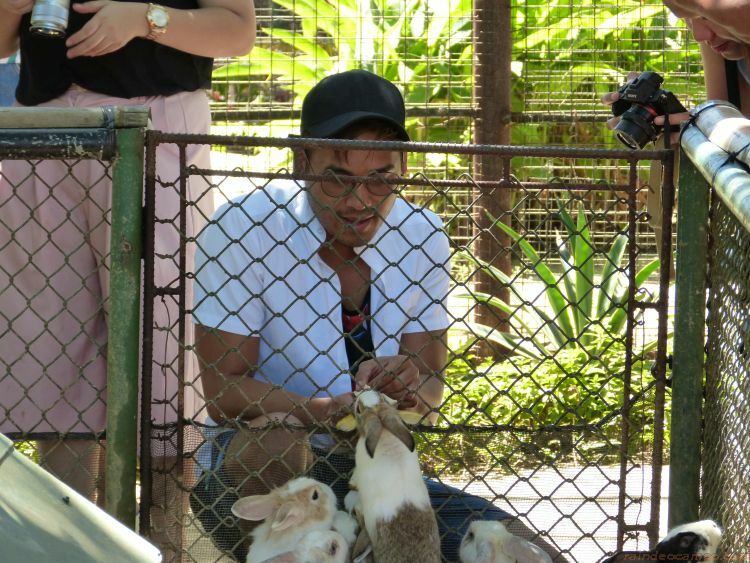 Now called as the ISLAND AVIARY, it is home not only to many different species of birds but also to other animals like rabbits, koi fishes, iguanas, sailfin lizards, pythons and many others. They’ve replaced the bikes with a way cooler ride – pedal GO-KARTS can now be rented out near the Oceania Swim and Splash park area. 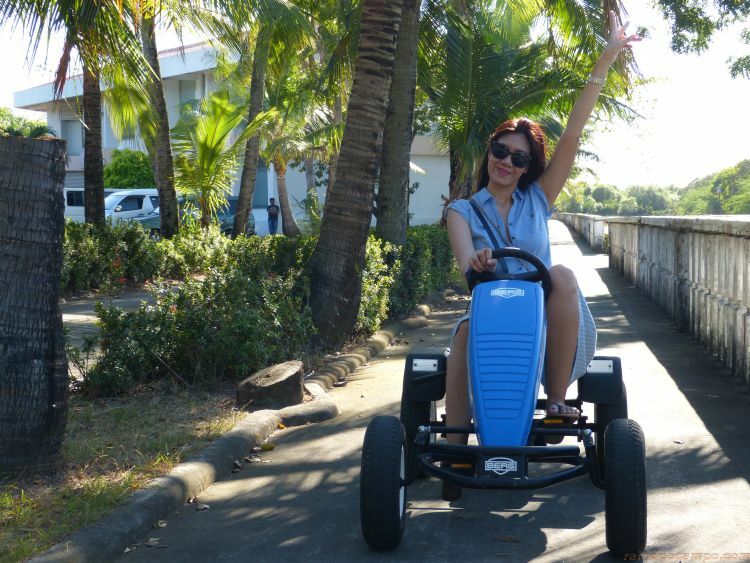 Take it for a spin anywhere inside the Island Cove premises no license needed. 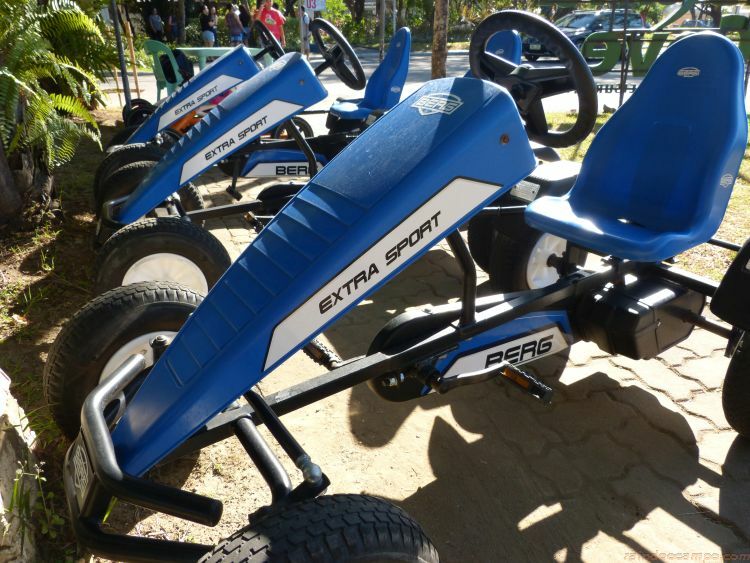 GO-KARTS are available in kids and adult sizes for the whole family to enjoy. For the same price as the GO-KARTS, you can upgrade your ride to something that has more HORSEPOWER – literally! 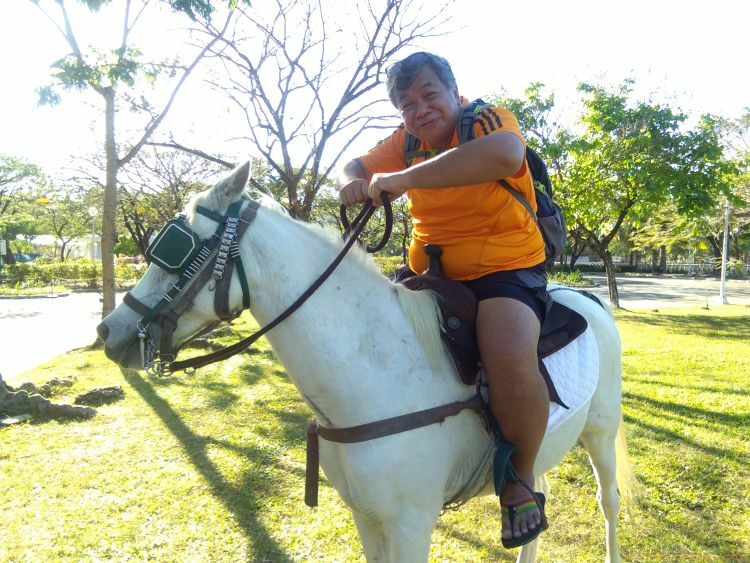 Bring out your inner cowboy and cowgirl and go HORSEBACK RIDING on a field of greens also near Oceania and the Fishing Village. 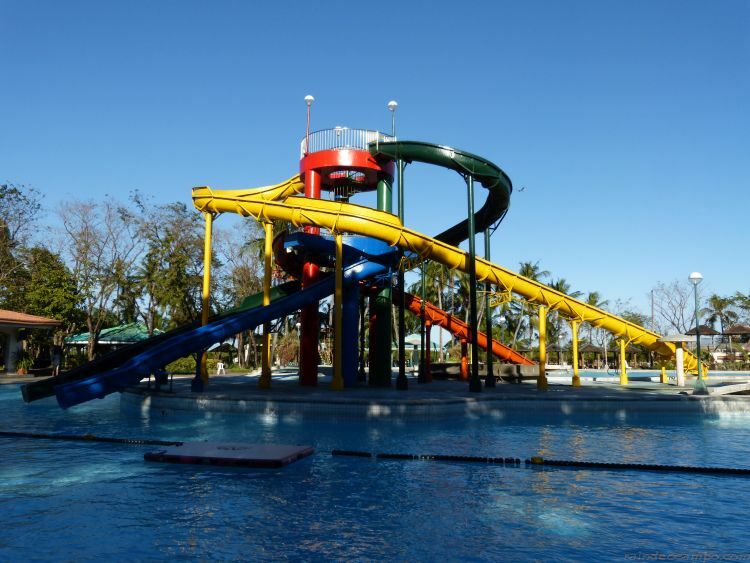 Now, since we’re already at OCEANIA Swim and Splash Park, did you know that you can do more than just swimming inside the facility? Well who can resist the 3,000 SQM lagoon-shaped pool (3-6 feet deep) and 350 SQM kid-friendly Splash park? But there’s just so much more! The pool is equipped with a two-level giant fiberglass SLIDE for the more adventurous swimmers. 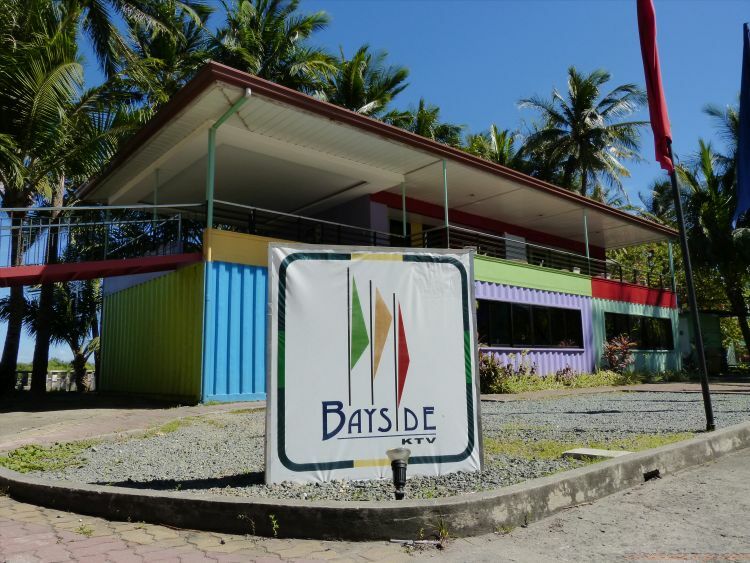 For the not so adventurous and water-loving people, there’s a GAME ROOM inside the facility equipped with various indoor activities such as billiards, table tennis, computers and play consoles. For the younger members of the family, they also have the KING CRAWLER, a vertical urban play structure which combines several functions for different types of climbing opportunities that are safe for children. 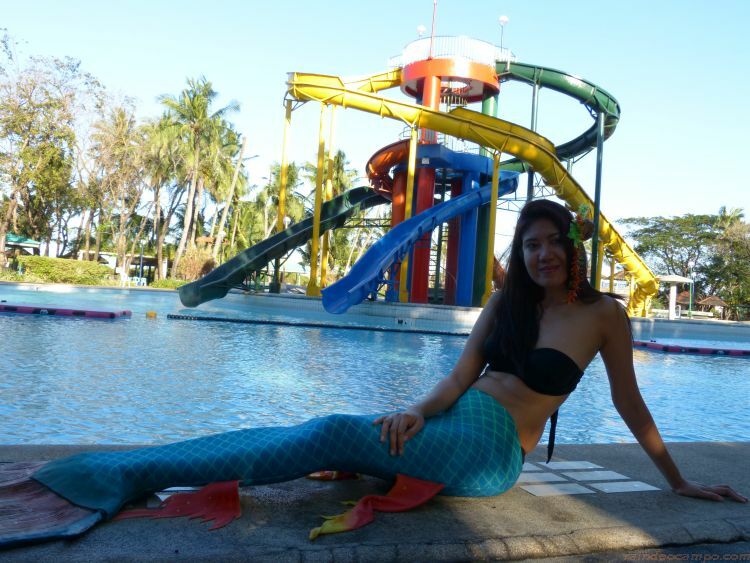 Starting this March, OCEANIA will also be introducing MERMAID SWIMMING as part of their offering. 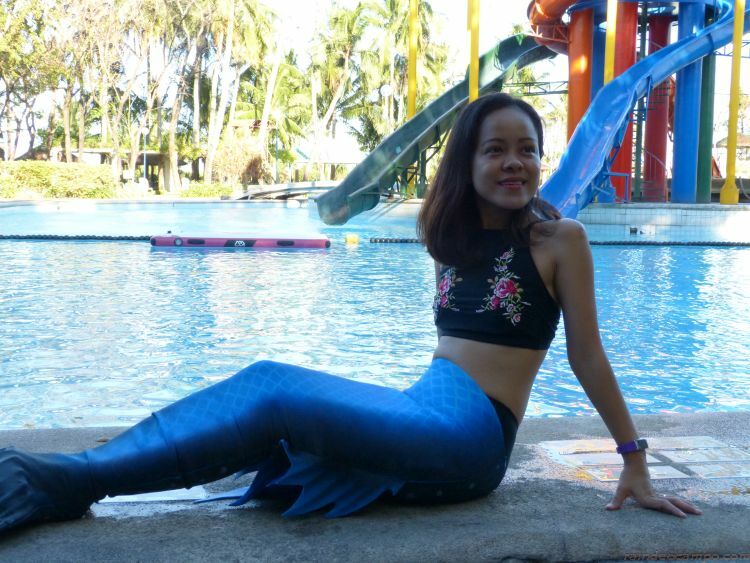 Learn to swim like a mermaid or just pose for the camera wearing your tail and fins. 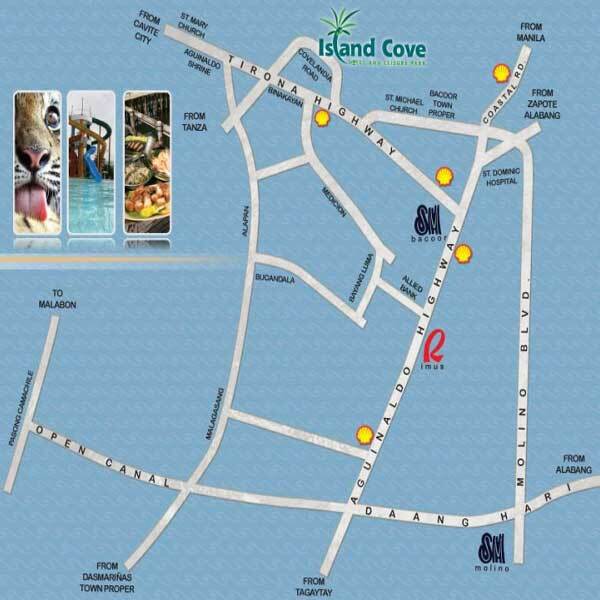 You’ll probably go very tired (and hungry) after all those activities but don’t worry because Island Cove restaurants are just in the same area. For those looking for a relaxing and sumptuous meal near the bay area, I recommend you book a table at Fishing Village. They have expanded their menu this year to include three (3) Kamayan Sets that are good for 6 to 8 persons priced at 2,800 to 3,300 Pesos. The sets served by Executive Chef Vill Purificacion includes best selling dishes like Crispy Pata, Kare-Kare, Sizzling Seafood, Sinigang na Bangus, Barbecue Pork Belly, Pancit Bihon, Pritong Hito, Bagoong Rice, Lumpiang Sariwa, Leche Flan, fresh Buko Juice and many others. 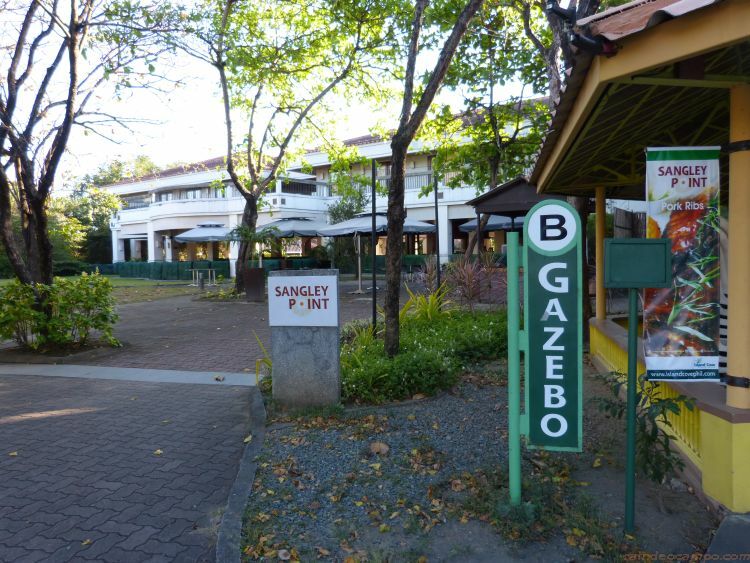 Directly connected to OCEANIA is Island Cove’s Sangley Point restaurant that serves western cuisines like Buffalo Chicken Burger, Pizza, Pasta and many others. It also has a venue perfect for various events and gatherings. 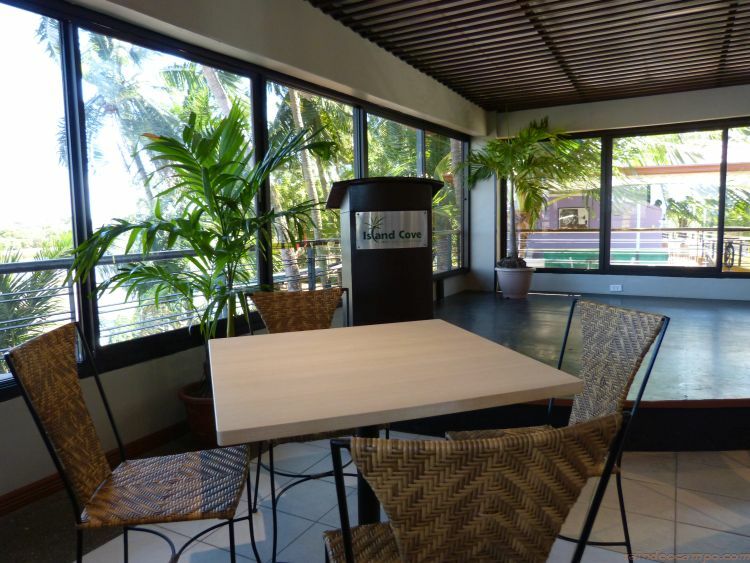 Now speaking of gatherings, Island Cove Hotel and Leisure Park is a favorite venue for various occasions from birthdays, debut, wedding receptions, company meetings and seminars. 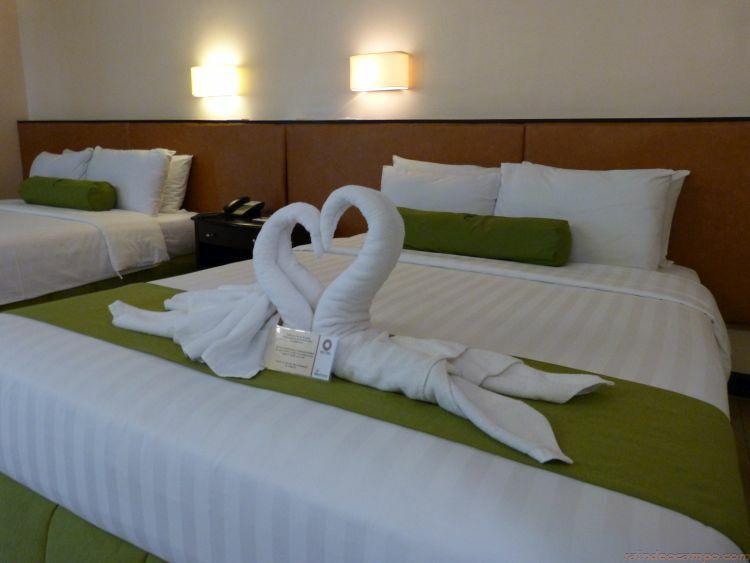 And they have just about all types of function rooms to accommodate any number of guests. A fresh addition to the list is their BAYSIDE DECK which is an air-conditioned 170-seater indoor function room overlooking Manila Bay located right smack in between the Bayside KTV and Fishing Village. Night Time is also a special time at Island Cove, if you’re still pumped up from all the excitement and can’t retire yet, then you might want to pour all that extra energy by performing in your group’s own private concert via the Bayside KTV. Go over a wide selection of songs, snacks and drinks to end the day with a bang! Or you can just take a night swim at the pool outside the hotel for a more relaxing way to end the day. This area is also perfect for watching the night skies and stars. Now if you’re like me, you’d probably just spend the whole day inside the room, relaxing over my favorite chips, some drinks while doing a marathon whatever movies or TV shows that’s on cable TV. 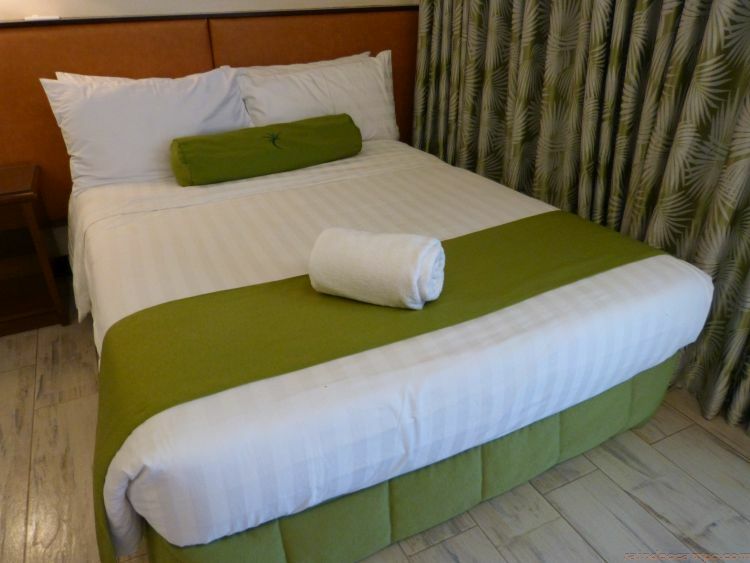 And that’s also fine because the rooms at the Mediterranean-inspired Island Cove Hotel is just as fun and relaxing. 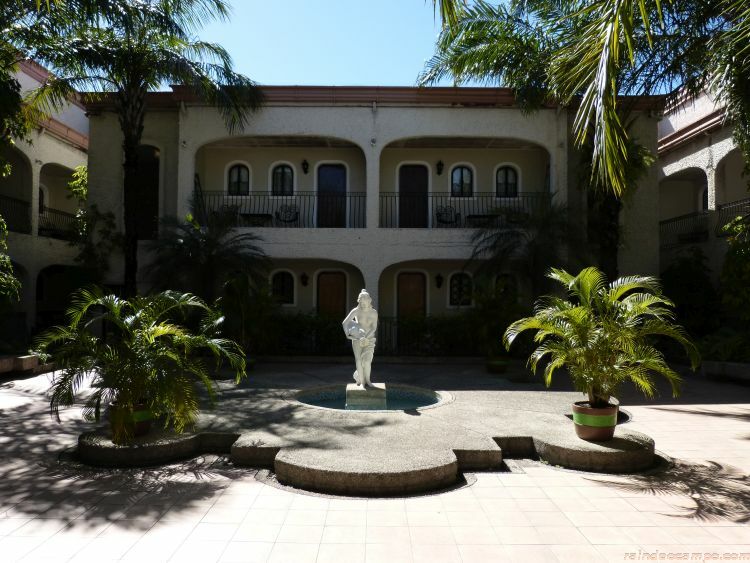 There are so many rooms to choose from – aside from the usual single, twin and family rooms, the hotel also has cabanas and dormitories. Hotel amenities includes a Key Card System, Wi-Fi Access, Safety Deposit Box, Cable TV, and a 24-Hour Business Center. 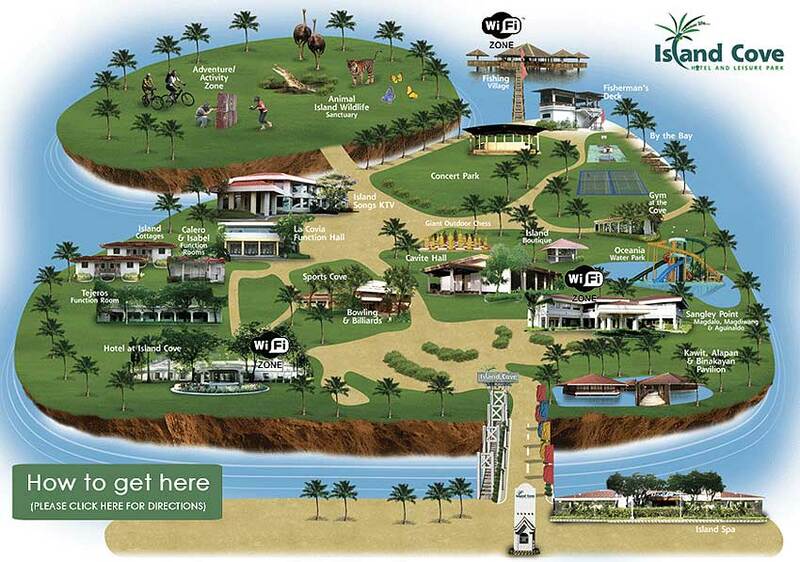 If you think your first day is loaded, there are still more to do at Island Cove! Excited for your second day at Island Cove? 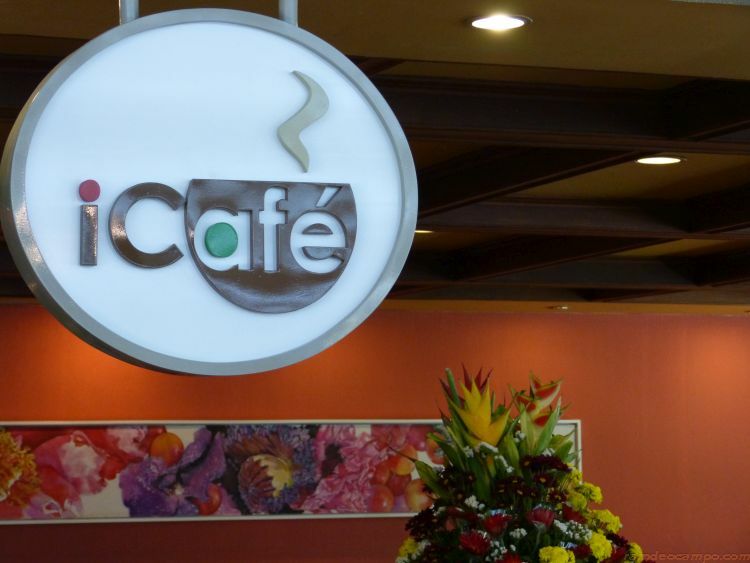 Get your caffeine boost first at iCafe which is conveniently located at the Hotel Lobby. They serve some of the most flavorful coffee in town. 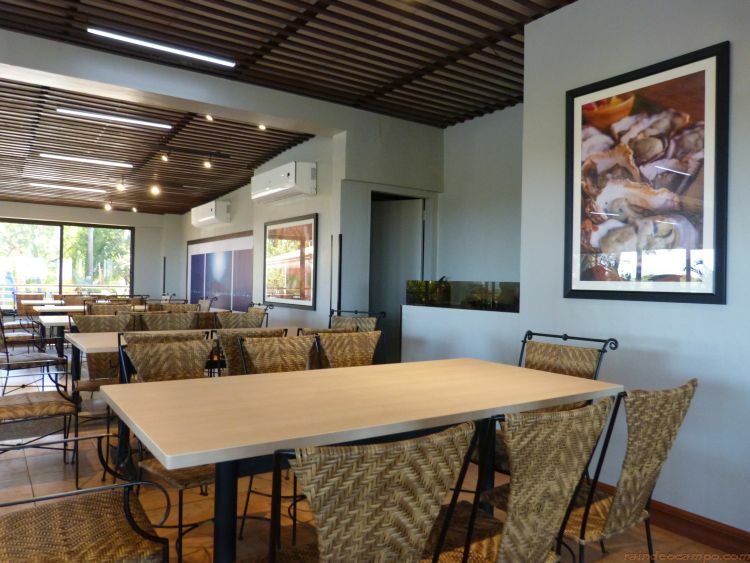 Your complimentary breakfast is usually served at Sangley Point but if you just need a quick “pick me up” and some light snacks – iCafe is the place for you. Mornings are also best to do some health and fitness activities. The entire Island Cove facility is one gigantic park with jogging trails. You can jog or you can also play a couple of rounds of basketball and tennis with your friends – yes, they have courts for those type of games too. They also have a Paintball Arena for groups who are in to that kind of thing. 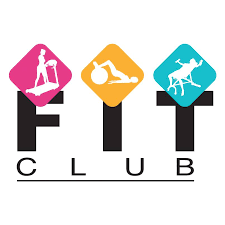 Or, you can head on straight to their FIT CLUB GYM for an awesome indoor workout. Lift some weights, sculpt those abs, buns and thighs or just burn some extra calories using their thread mills. 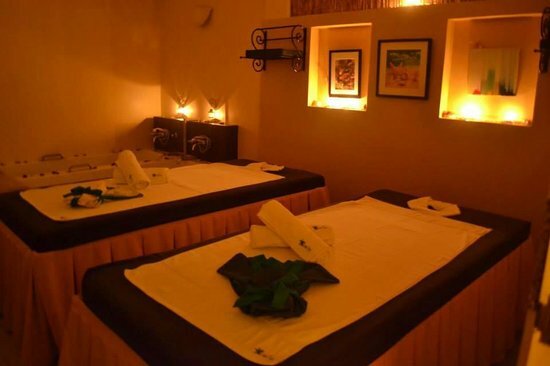 I guess that relaxing spa experience could be your take home from your Island Cove Hotel and Leisure Park visit. So there’s your sample itinerary now it’s time to experience the whole thing for real! By the way, all the attractions that I’ve mentioned are within walking distance from the hotel area but why walk when there’s always a shuttle around to take you anywhere you want to go inside the premises. 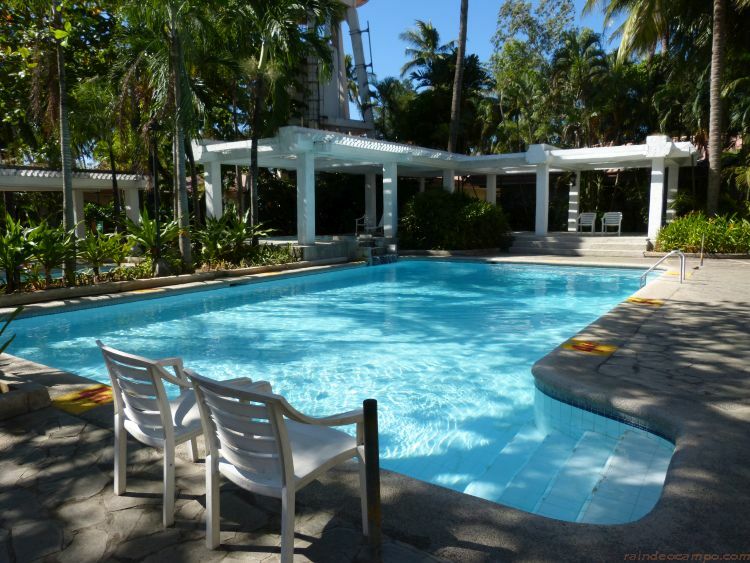 Island Cove Hotel and Leisure Park is a 36-hectare resort facility that’s only a couple of minutes away from Mega Manila. Located in Binakayan, Kawit, Cavite, the venue is only a quick 20-minute drive from SM Mall of Asia via the Coastal Road and CAVITEX. Turn right onto Tirona Hi-Way, make a U-Turn and take the old Covelandia Road this will lead you straight to the main bridge to Island Cove which is just passed the CAVITEX elevated H-way. If you’re commuting, take a bus going to SM Bacoor via Aguinaldo Hi-Way, there are minibus and jeepney terminals in the area that can take you straight to Island Cove. Usually those that go as far as Tanza, Noveleta and Cavite City passes through that area. If you’re coming from Manila, you can also take a bus that go as far as Cavite City, Tanza and Noveleta via CAVITEX and alight at the Zeus Gasoline Station go to the other side of the road and take a Jeep or Minibus to SM Bacoor or Zapote, this will pass by Island Cove. Last February, Island Cove offered FREE SHUTTLE RIDES to and from SM Bacoor. According to Mr. Gilbert Remulla, they’ll be offering more schedules and pick-up areas for their free shuttle rides in the future. 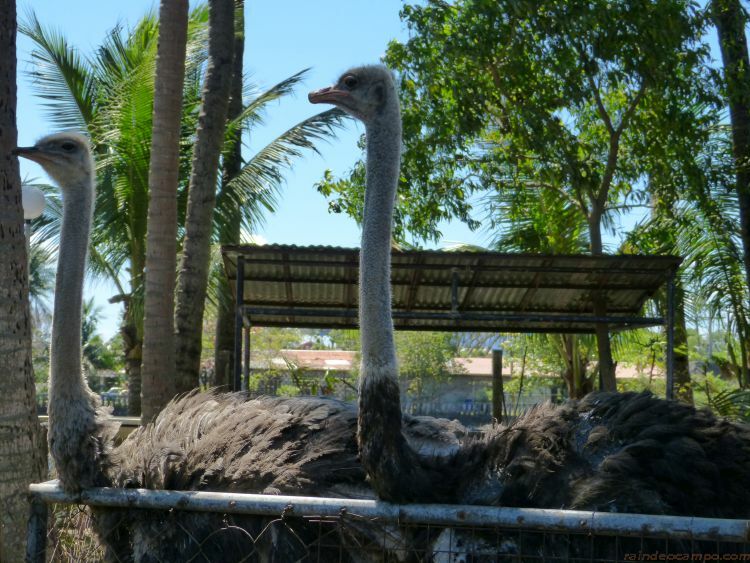 All packages includes: Overnight room accommodation, free use of Hotel Pool and Jacuzzi, free entrance to Oceania Swim & Splash Park, access to the King Crawler playground, and free entrance to the Island Aviary.